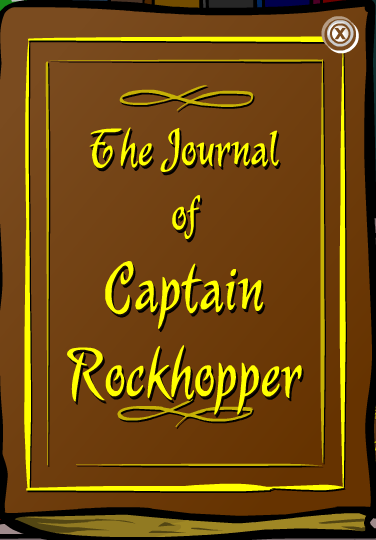 Obtaining Rockhopper's Key to his private Captain's Quarters has been a myth ever since he first visited the island. 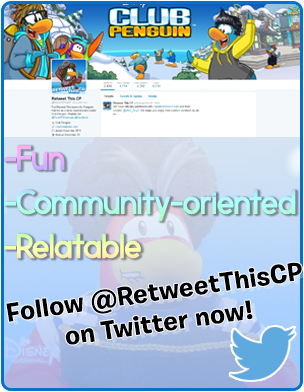 Back then, you would usually see penguins waddling round the island saying: "FOLLOW ME FOR ROCKHOPPERS KEY!" 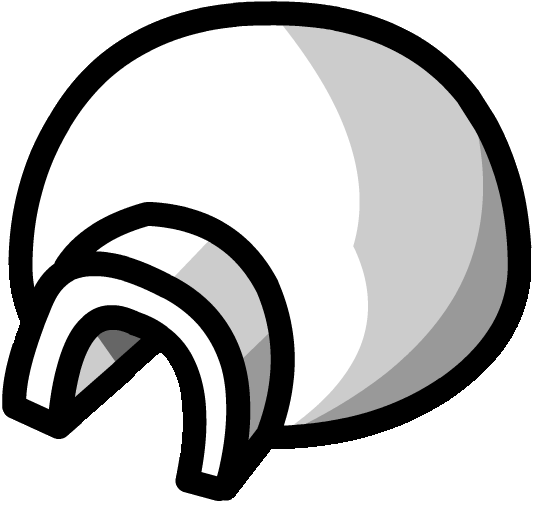 Which was obviously false, and if you followed them they would eventually reach the Cove and trick you. Nowadays, you can get his key and enter in the Captain's Quarters to play games and look around, here's how to get it. 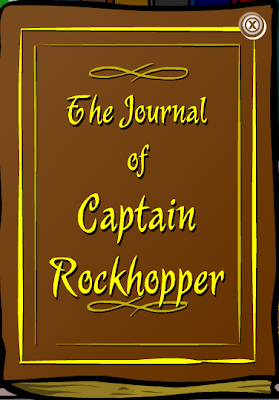 Go to the Coffee Shop, then head upstairs to the Book Room, waddle over to the bookshelf on the left side of the room, and click on the book called: "The Journal of Captain Rockhopper"
Skip through the journal to the back page. 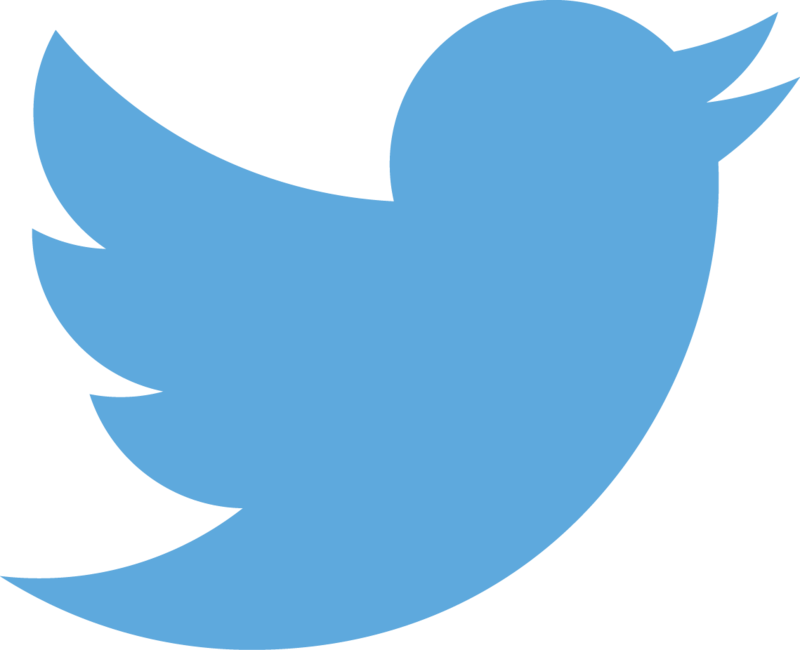 You should see a big key with a note attached that reads: "CAPTAIN'S QUARTERS" Click on it. 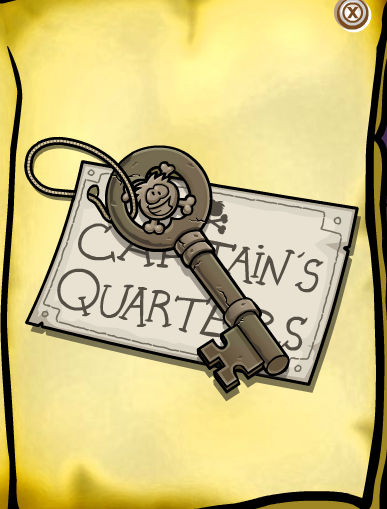 You now have the famous Captain Rockhopper's Key on Club Penguin! 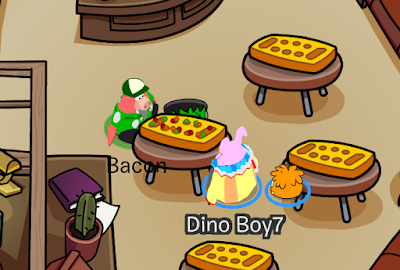 Now, whenever Rockhopper visits the island and docks his ship, the Migrator, at the Beach, you can access his Captain's Quarters!